Carpenter goes on the road with a bevy of his signature ESP axes. An SC-600 that’s loaded with EMG 81 and 85 pickups and tuned to standard pitch is usually reserved for the band’s earliest material. More recent signature additions include a 27”-scale STEF-T7B single-cut 7-string tuned to C-G-C-F-A-D-D. All of Carpenter’s 7-string guitars use EMG 81-7 pickups and, like his 6-strings, are outfitted with a custom set of Jim Dunlop Heavy Core .011–.050 strings (the 7-strings have a second .011 string). 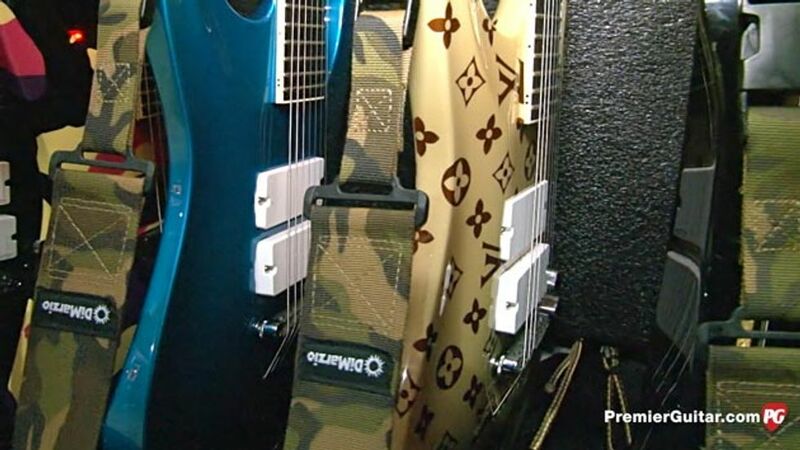 The other 7-string tuning Carpenter uses is E-A-D-G-B-E-E. Two of his other go-to instruments for this tour are his 8-string signature ESPs—an SC-608B and the STEF B-8. Both have a 27″ scale and EMG 808 pickups, and their custom Jim Dunlop Heavy Core .011–.069 strings are tuned F#-B-E-A-D-G-B-E. All of Carpenter’s guitars have neck-through construction, an alder body, a maple neck, and an ebony fretboard. He uses an assortment of custom-designed Jim Dunlop Tortex 1 mm picks. 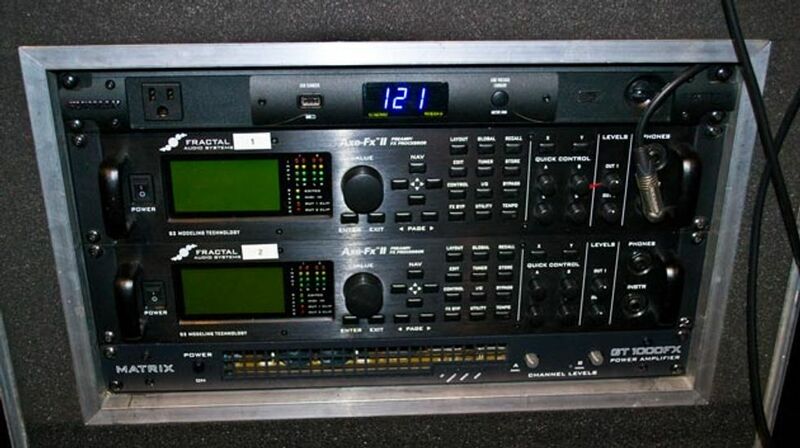 Both Carpenter and Vega are using Fractal Audio Axe-Fx IIs in place of the analog rigs they used for many years. For the band’s oldest material, Carpenter relies on one or two Fractal patches based on his old rig, which featured a Marshall JMP-1 MIDI preamp and a Marshall EL34 100/100 power amp. For songs from Diamond Eyes and Koi No Yokan, he has more elaborate customized patches. He powers the rig for stage monitors with an Electro-Harmonix 22 Caliber Power Amp pedal. Carpenter says he struggled for the better part of a year with his Axe-Fx II sounding thin and out of phase in his stereo rig, but when he switched it to mono everything finally clicked into place. He also says that, though he’s not completely happy with his patches, he’s vowed to spend a month or so after the current tour to dial in things the way he prefers so he can continue with the airport-friendly setup. Originally published by Premier Guitar.